You can just make a statement or make a real impact with a logo on the Impact Vertical laptop computer bag. Applications are numerous, include modern tech savvy professionals, corporate gifts, education related. side mesh water bottle holder, wide adjustable shoulder strap and large imprint area for logo. 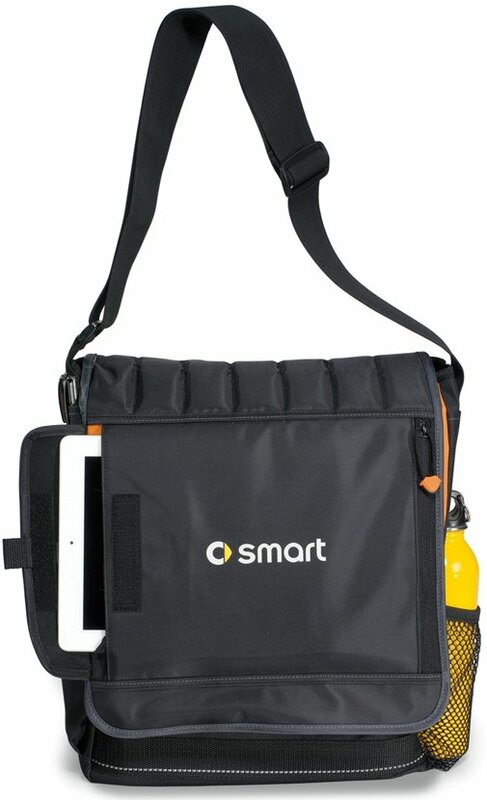 Overall size of the Impact Vertical laptop bag is 12 1/2" w x 15 1/2" h x 4" d.
Price includes a one color imprint on the front in an area 6" w x 6" h.
This was a conference bag for a small conference. The delivery date was exactly as promised and this bag is a very nice bag for the price. The printing came out great, and we are very happy with it. It is a bag that I think the conference goers will use after they leave the conference. It can be used for a laptop and tablet with a padded compartment as well as other pockets for pens, papers, etc.